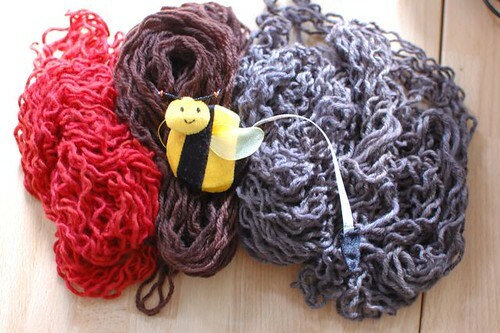 Last week I was contacted on Ravelry by a knitter named Becky. She told me that she wanted to make a fingerless glove for her husband, preferably with my Seattle pattern using ARAN weight yarn. Since my original Seattle gloves are knitted with US#3, and Becky wants to make them with ARAN weight yarn, re-calculations and ultimately re-writing the whole pattern are in order. Instead of just re-calculate/re-write the existing pattern, I want to show you what it entails to do this. It's a lot of work! Let's say Becky would have printed out my original Seattle glove pattern and instead of using needle size US#3 and recommended yarn weight, she would have used needle size US#9 and ARAN weight yarn. How would the outcome have been? Becky's Seattle glove would have come out WAY TOO BIG! And if Becky would have chosen to work the Seattle gloves with needle size US#1 and SOCK weight yarn, her Seattle glove would have come out WAY TOO SMALL. 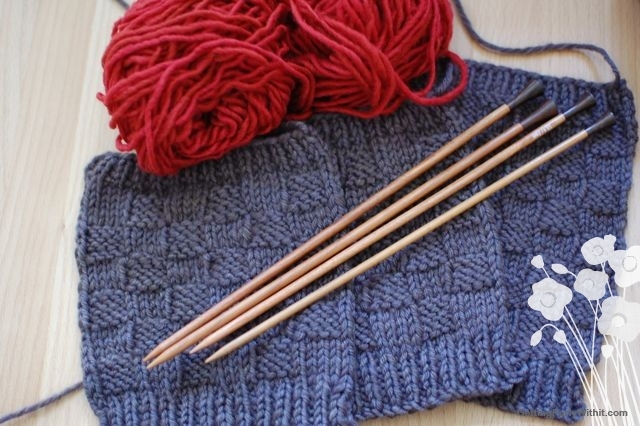 In order for you to use different size needles and yarn, you will have to re-calculate the whole pattern. 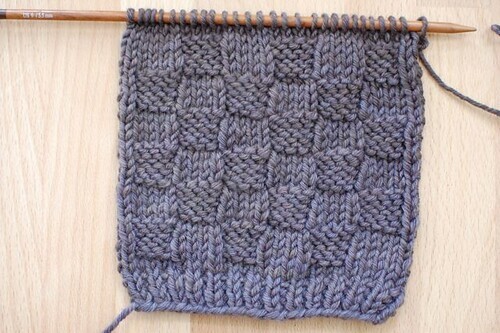 The stitch pattern that is used in the Seattle gloves is called the Basket stitch and is worked with a multiple of 8 over 8 rows. 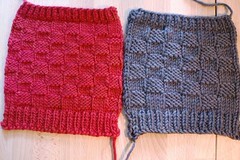 In the original Seattle gloves you cast on 42 stitches and work the pattern. However, when you want to work with ARAN weight and you want the same outcome you need to cast on 28 stitches in order to get the same finished measurements as the orignal Seattle gloves. Nancy, but how do you come to these numbers? Willingness to calculate and...trial and error! Most of the time I just cast on a certain number and hope for the best only to find out that the piece is too big or too small. Then I cast on again until it just fits right. See, you have to be willing to make mistakes and start anew! 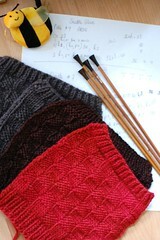 You got your ARAN weight yarn and US#9 ready? Let's go! 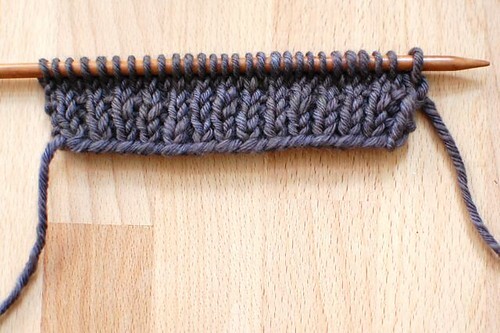 For this picture tutorial I am using Malabrigo Twist Aran weight. 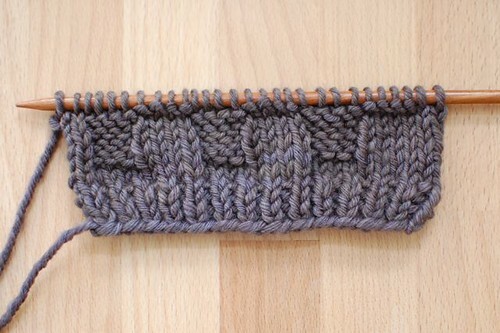 For the seaming part use the mattress stitch aka the invisible stitch. Start from the top down, then work from the bottom up and leave enough space for your thumb. The men size will fit a medium man's hand. 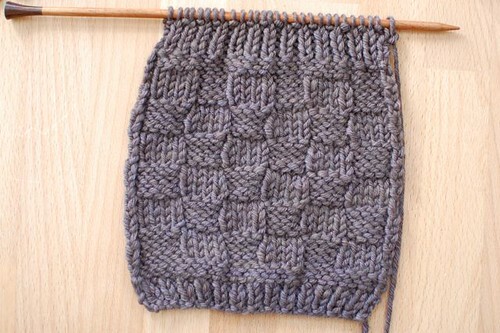 If you want it bigger, just add 1 or 2 stitches on either side and work it as stockinette stitch. Same for the women size! Oh, and if you might wonder how I calculated how much yards is needed... I frogged the gloves...and just counted the yards. Yikes. I need a weighing scale, pronto. 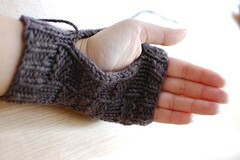 Tomorrow, I will post the Seattle gloves in WORSTED weight. Submitted by Anonymous on Thu, 11/17/2011 - 11:18. Incredible the trouble you went to in order to help a knitter. You must be a special person. Submitted by Nancy Ricci on Sun, 12/04/2011 - 05:11. Thank you for your nice comment. Knitters are a special bunch! 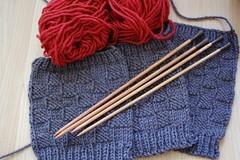 Submitted by Anonymous on Thu, 11/04/2010 - 15:56.
hi Nancy, I am trying to figure out a way to knit them circular. I think yu told me that you don't knit circular. Submitted by Nancy Ricci on Thu, 11/04/2010 - 16:17. Hi there! First of all thanks for considering making the Seattle gloves. Yup, that's right, I don't do circular! I am of the english pattern writing school that does everything flat and then seam it later! 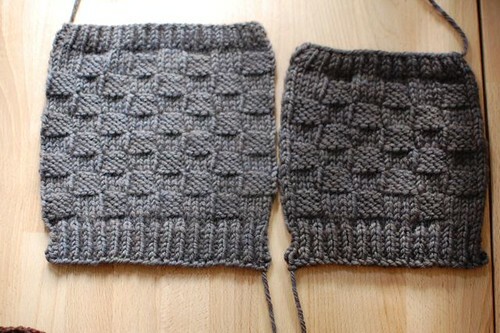 For this reason, all of my patterns that entail small circumferences, are all written for flat knitting. Submitted by Anonymous on Sun, 10/31/2010 - 16:13. Submitted by Nancy Ricci on Sun, 10/31/2010 - 16:49. Hi there, Laura, Would love to see your Seattle Glove. Will you play the piano or another instrument while wearing them? That would be a beautiful picture. Notify me when your Seattle glove is all knitted up and photographed! Submitted by Anonymous on Thu, 11/04/2010 - 10:57. 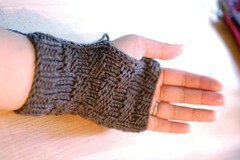 HI, Nancy, Here's a pic of fingerless gloves I created and knitted a few months ago. I also made several children's sizes. 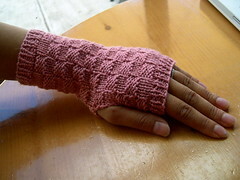 http://laurahiner.webs.com/knitting.htm PS. ready to seam the Seattle Aran gloves today! Submitted by Nancy Ricci on Thu, 11/04/2010 - 15:52. Ooooh, well done, Laura! 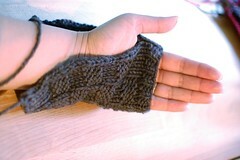 Your fingerless glove creation looks wonderful :)And already a pair of Seattle Arans done? Goodness, you are fast! Submitted by Anonymous on Sun, 10/31/2010 - 01:34. Submitted by Nancy Ricci on Sun, 10/31/2010 - 01:58.